My Acoustic EP "If You Were A Movie, This Would Be Your Soundtrack" is out now! Director Sam Link presents Kellin Quinn, Jesse Lawson (Sleeping with Sirens) & Colby Carpinelli & Grayson Hendren (Coyote Theory) performing "Iris." Sleeping With Sirens recently covered Goo Goo Dolls' hit song "Iris." You can watch the cover below. This is "Iris - Sleeping With Sirens (Cover of The Goo Goo Dolls)" by Kenzz on Vimeo, the home for high quality videos and the people who love them. 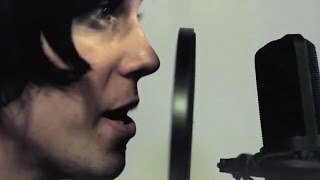 Sleeping With Sirens covers Iris by The Goo Goo Dolls ... (Sleeping with Sirens) ... Iris (Feat goo goo dolls) Legendado.